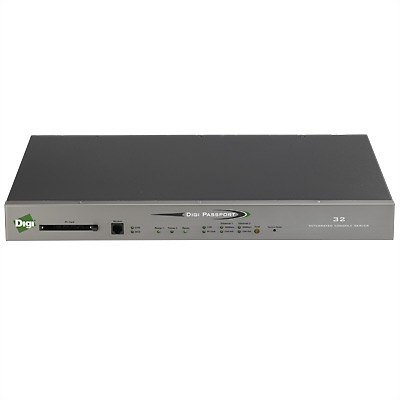 The latest entry in Digi’s console management line, the Digi Passport provides secure remote access to the console ports of computer systems and network equipment over Ethernet or dial-up connections. Offering native support for the Intelligent Platform Management Interface (IPMI), the Digi Passport can communicate with virtually any server or device. -Intelligent notification features to help administrators monitor and troubleshoot equipment. Configurable email/pager alerts and SNMP traps can be sent when conditions require immediate action. -SSHv2 and SSL/TLS for secure connections and RADIUS, TACACS+, LDAP, Active Directory and Kerberos for centralized authentication. -Advanced auditing and logging capabilities that complement regulatory compliance efforts (i.e., Sarbanes-Oxley and HIPAA). -For existing serial-based applications, Digi’s patented RealPort® serial-over-Ethernet driver provides transparent migration to network-based management. -Flexible configuration and management using a simple web-based graphical interface, multi-level menus, or command line. -Automated deployment tools, including Automatic Device Recognition, which allows the Digi Passport to poll monitored devices and auto-configure itself with the device name and OS version, as well as Advanced Discovery Protocol which allows the Digi Passport to be configured over the network.